I've talked about white Converse quite a few times on here since the Spring because they are such a style staple right now. Every fashionable girl that I know has a pair and they look chic paired with shorts, rompers, dresses and more. I absolutely love mine and wear them all the time! Floppy sun hats serve several purposes, which is why you definitely need one for summer. Floppy hats look glamourous and help to shade your skin and eyes from the harmful sun rays. Throw one on at an outdoor day party or while you're hanging out on the beach to stay safe and stylish. A white t-shirt is a must have for anytime of the year, but is a favorite of mine for summer. 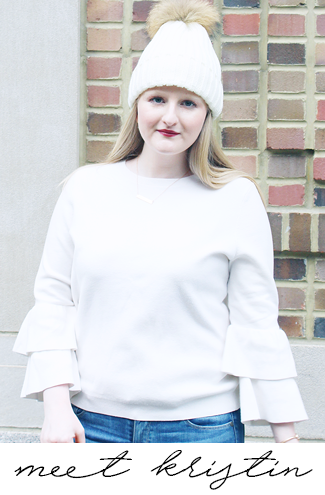 The thing I love about a white t-shirt is that it's a classic that you can style so many different ways. A white t-shirt can look just as great with jean shorts and flip flops as it does with a midi skirt and heels. To me a navy and white striped shirt just screams summer! It's such a fun nautical piece that looks adorable with white shorts or white jeans. I also love it with white Converse! Everything denim from tops to bottoms are huge for summer. You can mix denim with other materials or even go for a chic matchy-matchy denim look that is very 90s. Look to celebrities such as Jessica Alba to see how they style their denim. Blush pink is my absolute favorite color and I'm so happy that it's a big trend for summer. You can incorporate blush into your outfit with a blush top, skirt, romper, bag, and more. This color is the perfect way to add a feminine touch to your outfit. Lace looks lovely on rompers, dresses, and shorts. It's a girly-chic trend that always looks great! Pair lace shorts with a chambray shirt for a cute on trend look that's perfect for summer. Matching sets have been big for a while now and are definitely still a huge trend for summer. They come in a variety of different styles from a top and shorts to a crop top and pants to a top and skirt. They're super easy to wear as your whole look is already planned for you, just add shoes and accessories and you're good to go! Another big plus is that if you want a different look you can break up the set and wear them with other pieces. This post explains why rompers are a major must have! They are definitely a chic style staple for summer. Print pants are huge for summer this year. Allow them to be the center of your outfit by pairing them with solid neutrals for pretty look. A lightweight pair of print pants is definitely a style necessity for the month of July. 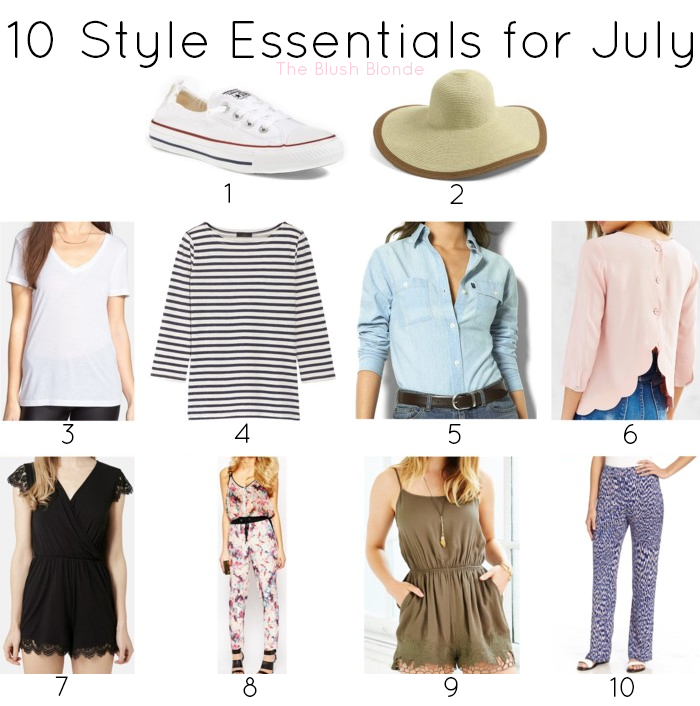 What are your July style essentials? Great picks, Kristin! I absolutely love #6! You've got two trends rolled up into one- blush and scallop hem! So cute!